Good nursery or farm land in the Fillmore area. 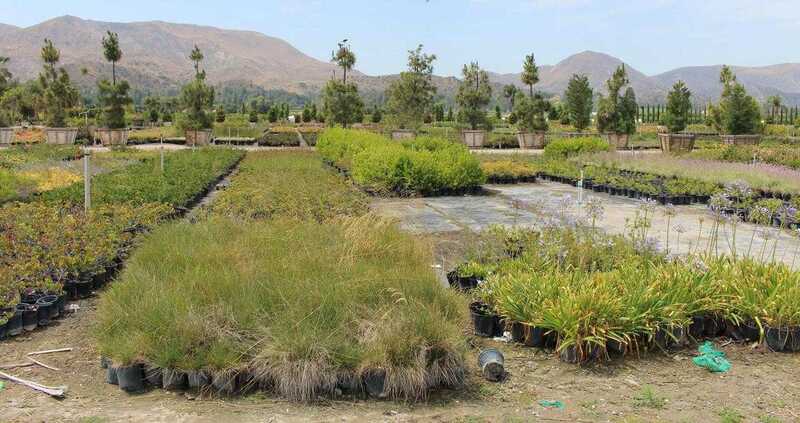 Currently operated as a wholesale nursery growing grounds. 71.14 total acres mixed with approximately 14 acres planted to palms, 38.5 acres with container plants, 12.5 acres with a short term row crop lease and 6 acres of raised frontage with the potential for a retail nursery or agribusiness. Access is provided by a 60 foot wide bridge over a drainage channel to accommodate multiple vehicles. The owner would like to lease back at least the 14 acres of palms for 3 years to sell the inventory. Additional acreage would be desired for lease back to sell the container inventory as well. The inventory is available for sale as well as a bulk sale. Shared well feeds a 150′ x 200′ lined reservoir with water distributed to the nursery on demand from there. Good location for access and potential to farm as well. Please, send me more information on this property: MLS# 219002923 – $3,950,000 – 1363 Chambersburg Road, Fillmore, CA 93015. I would like to schedule a showing appointment for this property: MLS# 219002923 – $3,950,000 – 1363 Chambersburg Road, Fillmore, CA 93015.